London, Apr 14, 2019 (Issuewire.com) – Regent Street Cinema, London -The just-concluded start of the Cinema Club event organised by Bella Mayford was a joy to behold. An event that was organized to celebrate women in honor of Mother’s Day. 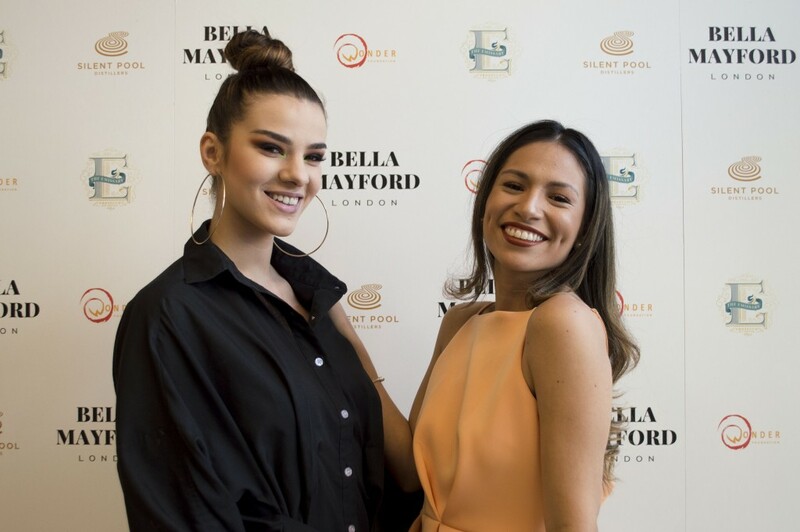 It was graced by women from all walks of life who came to celebrate the beginning of a partnership between Bella Mayford and the Wonder Foundation Women’s Charity who are globally empowering women, girls, and communities through education. Bella Mayford has created one piece of beautiful jewelry specifically to give every Queen the opportunity to connect and give back to Queens in need from around the globe. 20 Percent of every Queens charity Bracelet sale is given back to the Wonder Foundation. The event truly reminded us all that Bella Mayford is dedicated to bringing out the Queen in every woman. Attendees were entertained and appreciated throughout the event. Damian Alexander-Du’bel owner of Du’bel Holdings and Bella Mayford Managing Director had this to say “Bella Mayford is more than just a jewelry and watch manufacturer. Our events and products are connecting the dots between women in need of encouragement, an inspiration to women who have worked toward positions of influence and inspiration. Bella Mayford is here to remind every woman, from every part of the world, that they are loved, capable and worthy”. The judicious use of time by the organizers of the event was really admirable, though it wasn’t a surprise given Bella Mayford’s track record with hosting amazing and beautiful events around the world. The event which held on the 29th of March 2019 began at exactly 1 pm. 160 total guests, 80 social media influencers from all different backgrounds and their guests, most of whom brought their mother’s arrived in their numbers and we were welcomed with either a glass of Gin and Tonic or Prosecco thanks to event partners Silent Pools Gin and The Emissary Prosecco. The event began soon after with the Bella Mayford event speaker, Kathryn welcoming everyone and announcing their partnership with the Wonder Foundation. This was followed by a few minutes from The Wonder Foundation, who spoke about their amazing work and their joy at partnering with Bella Mayford. At 2:30 pm the screening of the movie Little women an old classic began, where the ladies went through a range of emotions from crying, to laughter back to tears of joy. After the screening the guests were then taken to the after party venue, historic club, The Scotch of St James in pure style and class, by 2 Old London Routemaster buses that were waiting outside of the cinema. The ladies were taking photos in the beautiful London sunshine celebrating this wonderful occasion. Once the ladies arrived pizzas were waiting and everyone danced the night away, it really was an amazing atmosphere with the women enjoying meeting one another, making new friends, celebrating empowerment and Bella Mayford. Looking forward to next time, If I get my invite.